My name is Jamie Woodfin Jr and I am a solo artist originally from Elkhart, Indiana. I started playing the guitar when I was 15 and fell in love with songwriting around the age of 18. I have always been inspired by and loved Classic Rock and Blues guitar. My first concert was Aerosmith and from that moment in November of 1998 I knew that playing the guitar was what I wanted to do with my life and I have been on the pursuit ever since. My first guitar was a silver Aria Pro that my brother in law bought for me and I was so proud of it I left the tags on the headstock for the entire first year I owned the guitar. My Dad taught me how to form open chords and gave me a good foundation for playing. I checked out every book about the guitar and music theory that I could from the library. Teaching myself from the books, a lot of what I read was confusing and over my head at the time, but I continued to learn and practiced night and day. To my parents dismay, I ended up dropping out of high school in 2001 so that I could devote more time to practicing around the clock. In 2003, armed with a hand me down Line 6 amp, a cassette recorder and a stereo for playback, I began to craft my own expression of rock. I spent all of my time making tapes and honing the songs that would later become my first CD release. In 2005, I bought a Zoom Palmtop Studio which I used to record my first CD “The Realization of Life” and also used it for my second CD “Innovation Never Phelt So Good”. Just before the end of 2005 I was able to find a local radio station that was kind enough to play my songs for me. With stars in my eyes, I set out to cross off another bucket list item and I was featured on an episode of OpenStudio which aired on PBS in January of 2006. I wanted to take my understanding and comprehension of music to the next level so I attended college at the University of Indiana South Bend later that year and that’s where my passion for recording really took flight. They taught me about computer based recording programs and opened my eyes to the digital world. I have spent the last 8 years learning all I could about home recording studios and put together my own where I record all of the instruments and perform the vocals for my songs. Writing lyrics is my favorite stress relief in life and there isn’t anything that makes me happier than taking ideas and emotions and turning them into a song. I’ve been in serval bands over the years, but it’s difficult to find people with the same determination and love that I have for music. In 2014, I started work on my third CD and it is what I consider my greatest achievement to date. 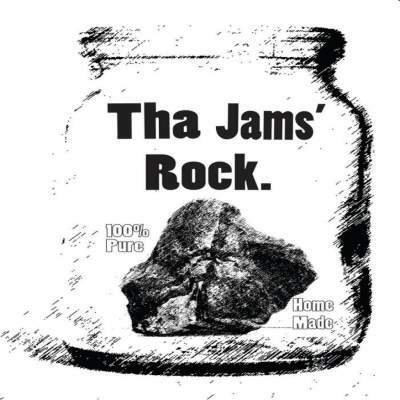 I finished recording the songs that make up the CD in November of 2014 and I released “Tha Jams’ Rock” through CDBaby.com on January 27th, 2015. I couldn’t be any happier with the way the songs turned out and it’s a great representation of my thoughts and feelings throughout the past year as some of my biggest life changes to date took shape and unfolded. With an eye to the future, I am looking forward to live performances this year and recording songs for my fourth cd release. Music from Jamie Woodfin Jr.